Summit Racing Equipment Motorsports Park would be unkind to Team Arana as both Hector Arana Sr. and Hector Arana Jr. would have their race day end early due to red-lights. 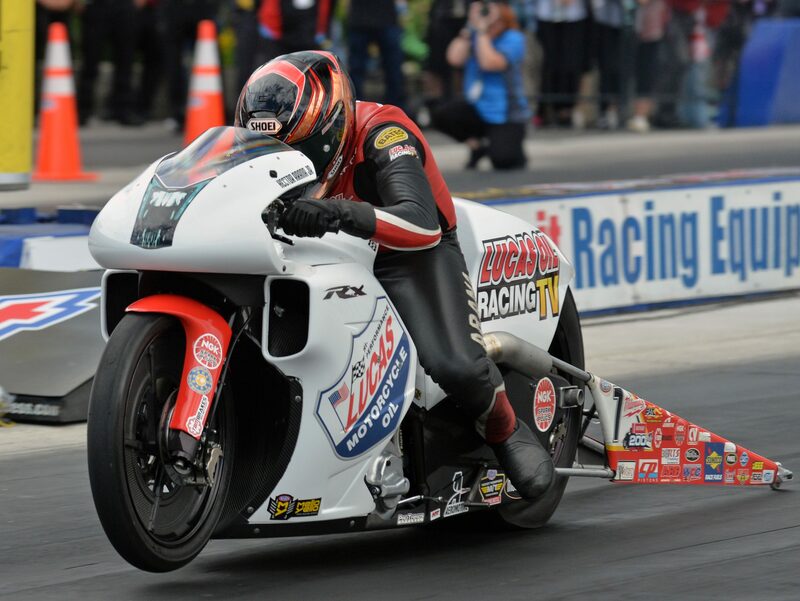 Arana Jr. set Top Speed of the event at 196.02 MPH with his 6.88 in Round No. 2. 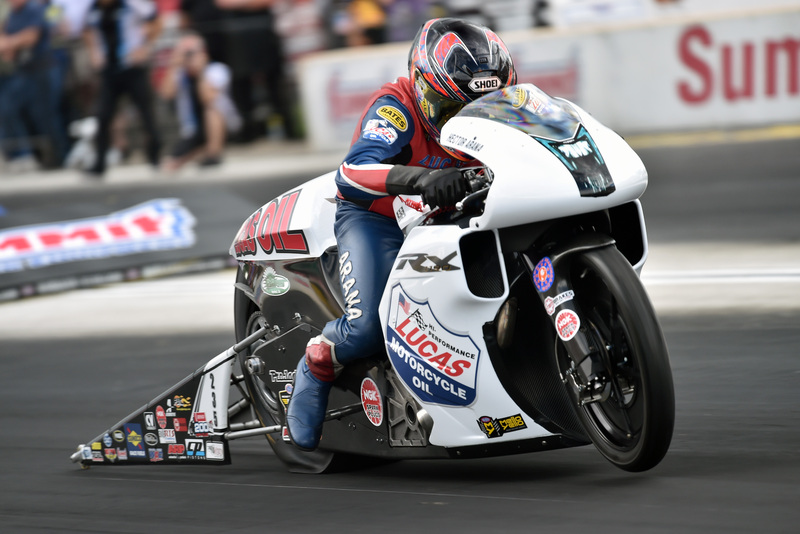 Arana Jr. came into Sunday eliminations for the Summit Racing Equipment NHRA Nationals with confidence after a second place qualifying effort and would begin the day by setting the fastest elapsed time of round one aboard his Lucas Oil Racing TV EBR. In round two he would face LE Tonglet in a rematch of the semi-final in Virgina but would leave too early and turn on the red light. Hector Arana Sr. would also suffer the same fate in his round one matchup against Jerry Savoie. 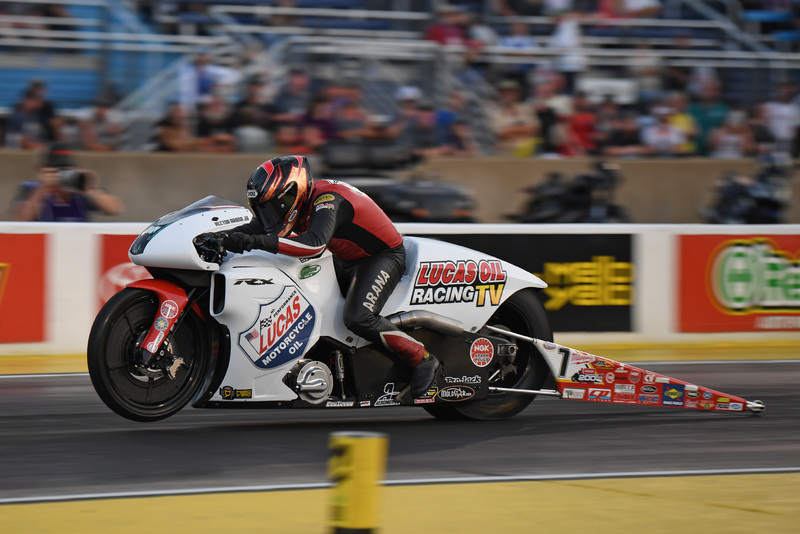 The NHRA Pro Stock Motorcycle class gets a month off before kicking off the western swing at Bandimere Speedway for the NHRA Mile-High Nationals in Morrison, Colorado on July 20-22. For tickets and information, visit NHRA.com or visit bandimere.com.